Perfect Body vs. 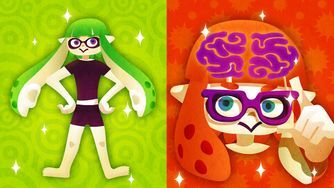 Perfect Brain was a Splatfest event in Splatoon. It was held for Japan only. It was announced on 15 January 2016. The results were given on 24 January 2016. The three stages selected for this Splatfest were Walleye Warehouse, Piranha Pit, and Ancho-V Games. If the Perfect Body vs. Perfect Brain Splatfest used the original x2 battle multiplier, it would have ended in a tie. This Splatfest's results are the same as the results for the Fit vs. Rich Splatfest.